They made him an offer — but he refused. At a stunning, secret mob summit on June 29, the powerful, 49-year-old Brooklyn-based capo shocked his Gambino bosses and fellow captains by telling them that he would eschew position. Four days before the meeting, “On The Inside” reported that Cali was the choice among his comrades, who respected Cali’s strong low-key, old-world approach to doing business successfully without attracting fanfare or agita. But Cali told his brothers that while he was moved by their support, he would not accept the promotion to run the family’s billion-dollar concerns. “I don’t need the money, the headaches. I am OK with things and I am below the radar and not an attention-seeker,” Cali told his Gambino brethren, according to sources. And, one source said, the Gambinos understood — or at least that’s the party line. After all, along with receiving vastly lucrative cash tribute from every corner of the sprawling crime family, there are headaches that would make Tony Soprano’s head spin, including having to accept an outsized bulls-eye on one’s back from law enforcement, if not from gangsters upset with his decision to pass up the job. One thing is certain: Cali would not be kidding about his wealth. Sources say he practically runs the city’s food industry and is worth an estimated $30 million from those businesses, real estate holdings and cafés he owns. But some law enforcement sources are not so quick to believe the talk that Cali turned down the job. They say it may be a Mafia “disinformation” campaign designed to throw off law enforcement. Cali — a native New Yorker who traces his roots firmly to Sicily — was set to take over the Gambinos because the current boss, Domenico “Greaseball” Cefalu, 76, who is also a native Sicilian, indicated he wanted to step aside to allow his younger protégé to take the reins of the family’s lucrative gambling, loansharking and construction rackets. Cefalu, who has a long history of heroin smuggling and has done several stints in prison, took over a family once ruled by John “The Dapper Don” Gotti and the group’s infamous namesake, Carlo Gambino. Cefalu reduced the public profile and broke with the flashy, headline-grabbing era marked by Gotti, whose visage once graced the cover of Time magazine. Gotti died of throat cancer in prison in 2002. Sources say Cefalu wanted Cali to take his place, and so did the other captains who were looking to Cali to breathe some money-making life back into their ranks. Cali’s parents immigrated to Brooklyn from Palermo, Italy, and he got his start in the mob by running a fruit store on 18th Avenue in Brooklyn called Arcobaleno, which means “rainbow” in Italian. The feds say it doubled as a front for criminal activities. Cali made his bones under the Gottis while operating in Manhattan, Brooklyn and New Jersey. 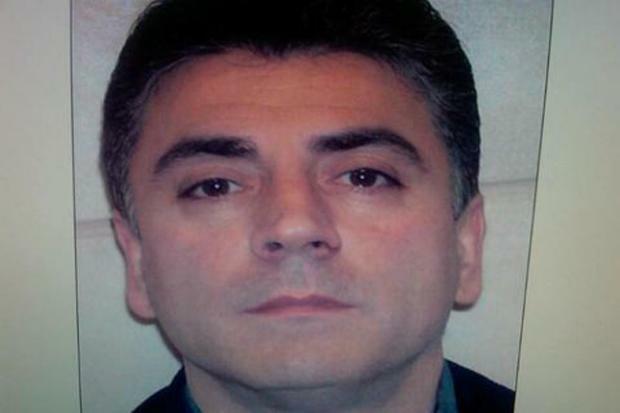 According to the FBI, he officially became the Gambino “ambassador to the Sicilian Mafia” and a rising star when Gotti and Salvatore “Sammy Bull” Gravano roamed the city, ruling rackets and murdering dozens of people. He eventually married into mob royalty when he wed the daughter of one of the Inzerillos, who are known as one of the Mafia powerhouses in Italy. He is also a nephew of John and Joseph Gambino, who are influential hoods connected to the famous “Pizza Connection” drug trafficking case of the 1980s. If the Gambinos are forced back to the Godfather drawing board, sources say they may go out of town for a successor, and are considering a top hood in the Connecticut faction of the family. It remains to be seen on surveillance video, or heard on wiretaps, precisely what the truth is. Over the past several decades, and thanks to the Racketeer Influenced and Corrupt Organization Act, the feds have severely reduced the influence of the Gambinos and the other four crime families, breaking their grip on the billion-dollar labor union and construction industries.